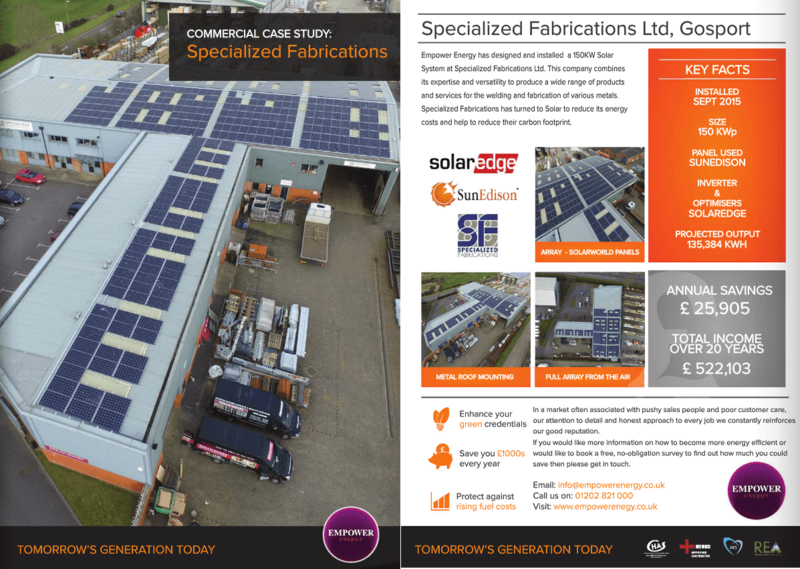 We offer a unique online commercial solar pv desktop survey. 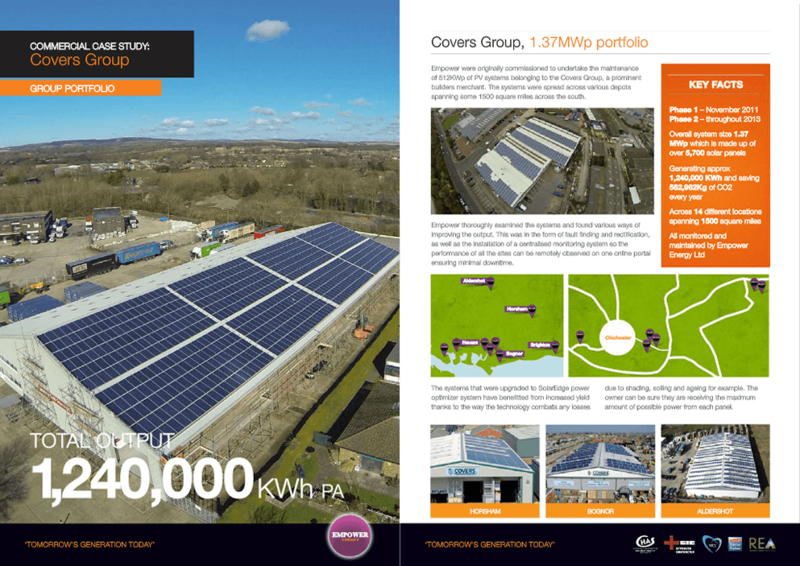 Why Empower Energy Recommend Solar Power To Our Commercial Clients ? 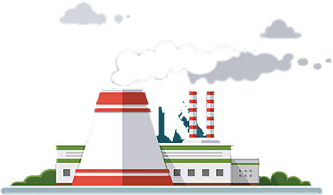 With Commercial Solar photo voltaic system technology evolving and as growth continues worldwide for renewable generation alternatives, solar and other form of renewable's will continue to reduce our dependence on fossil fuels. 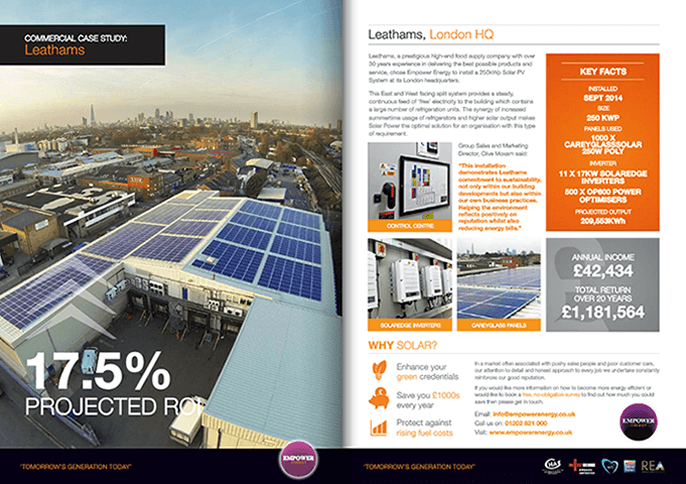 We know by using Solar our clients see immediate reductions in energy costs, benefiting from generous ROI & meeting sustainable commitments. 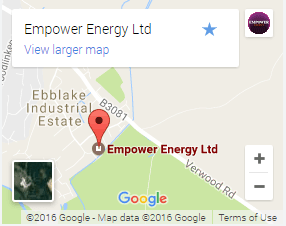 Empower Energy offer a full turnkey solution from Project management, design, performance calculations, modelling, planning, installation and commissioning.